This is a story about serendipity and how one remarkable woman’s journey has seen it’s fair share of serendipitous moments. Mandy Sumner is, as many of our readers have learned this past year, a very accomplished freediver. She is the first American freediving athlete (male or female) to ever earn a Gold medal at an AIDA World Championship; which she did in Cyprus of 2015. 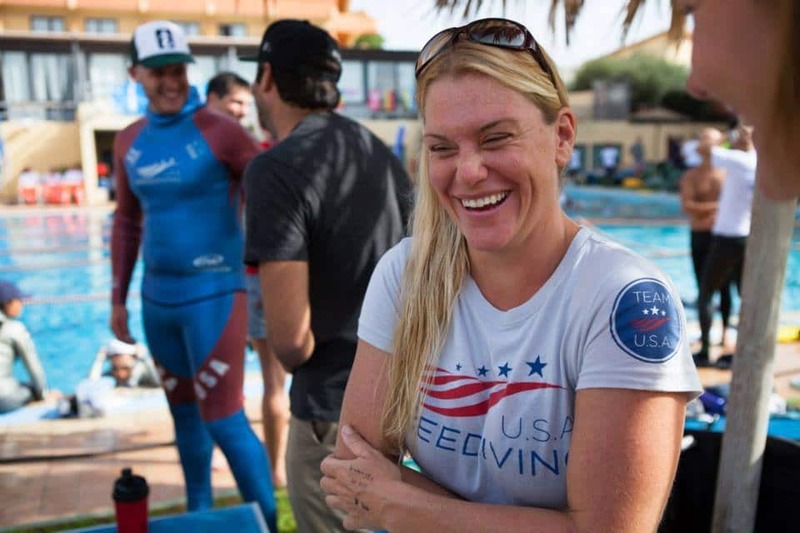 A representative of the 2014 US Freediving Team, she is also one of the newer competitors to the sport, with just over two years of competitive freediving under her weight-belt. 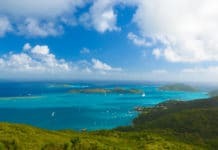 Sumner shared with DeeperBlue.com the story of how a Geologist from southern Maine suddenly became a contender in the sport. As her story unfolded, it became apparent just how big a part serendipity played in her journey. Mandy’s story begins 38 years ago in southern Maine, but her Freediving saga rightly began when she was on a sailboat-ferrying trip in Hawaii in early 2014. She was accompanying two other sailors as they brought the boat from dry-dock to it’s home port and the guys made an impromptu decision to anchor and do some freediving atop the Sea Tiger, one of Oahu’s best-known wrecks. Sitting in 120 feet of water, the upper deck of the purpose-sunk Chinese trading vessel is a brisk 100 foot dive and is a popular SCUBA diving destination. The key to understanding this incredible athlete is captured in her matter-of-fact statement “Really, I didn’t think there was a reason to not be down there…I knew I could do it, so I just did it.” This confidence comes through immediately when you first meet Mandy and her infectious exuberance for challenges illustrates her competitive nature. Sumner moved to Hawaii in 2009, which is arguably about as far from Maine geographically and weather-wise as one could find. Sumner explained that she had stopped in Hawaii to spend a little time relaxing before taking a position with a company in the Middle East. With a Bachelor’s Degree in Geology and a Master’s Degree in Geographical Information Systems (GIS), Sumner’s specialty was in high demand in the oilfields of the Middle East. Here’s where that serendipity comes into play again…while on her layover in Hawaii, Sumner checked local, online postings for similar jobs and after submitting her CV to a couple of companies was immediately offered a position. The swimmer from Maine was hooked, and for Mandy Sumner, that move to Hawaii in 2009 was the beginning of a meteoric rise to the top ranks of the sport of freediving. 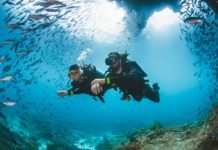 Mandy Sumner continued to stay involved in water-sports while working as a GIS specialist, becoming a certified SCUBA diver and gaining familiarity with the warm waters of the 50th State. But it wasn’t until that dive on the Sea Tiger, that she found her passion. 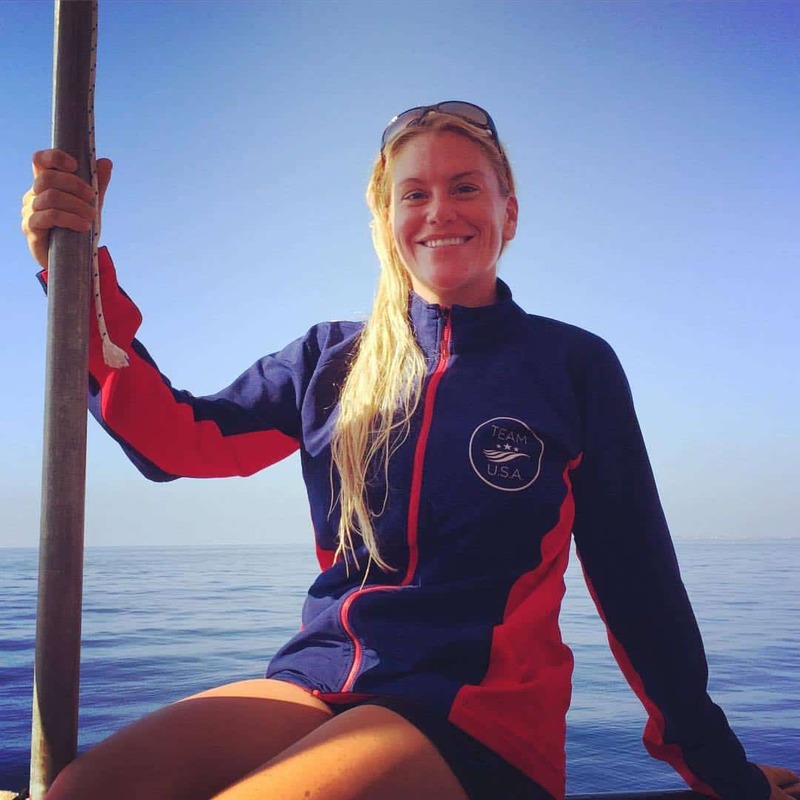 As one of her safeties on that dive was a freediving instructor, Sumner took the opportunity to become more proficient at freediving, quickly completing Level I and II freediving courses. This is where many people would have quit. They would say, “I tried it, I didn’t do well, I had a bad experience…time to hang it up”. Mandy is not most people, though. She tells DB that the incident, where she was successful in grabbing the tag and returning to the surface before the BO, only made her more determined to be successful, learn the techniques and compete again. So, in true champion form, Mandy entered another competition a month later, this one in her new home of Hawaii. At Kona Paradise 2014, Mandy had the top Women’s scores, earning enough points to qualify for the 2014 Team USA. When DB asked how she felt winning her first competition, jokingly suggesting she was a “rock star”, Sumner quickly and humbly denied it; saying “I felt excited…I was extremely happy.” Nonetheless, like a rising Star, Mandy Sumner took her act on the road. So, how does a great competitor become a champion? Hard work, discipline, training, training, training…sure, they are all part of the equation, but she is driven by that “need to compete” she has shown since she was 1 and a half years old, swimming in Maine. The 2015 AIDA Depth World Championship were held in Limassol, Cyprus. Remember that Mandy has been freediving just a little over a year. She has worked full-time, having to use her vacation time, days off and whatever time she could carve out of her schedule to train. 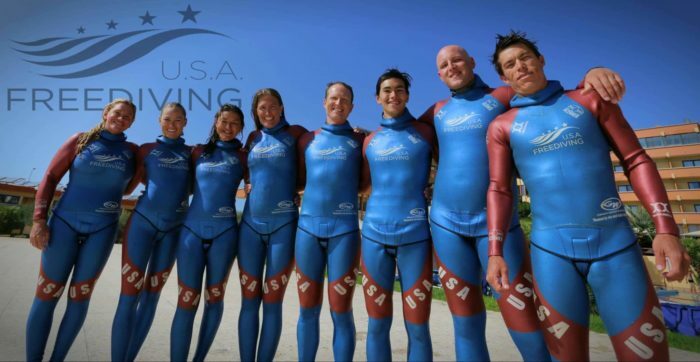 So, Sumner goes to the World Championships as an individual competitor with fellow freediving great Kerry Hollowell…and does something astonishing. She wins a Gold Medal with a 58 meter dive in CNF (Constant Weight No Fins)…the first US athlete, male or female, to win a Gold Medal at the World Championships. Mandy Sumner shares that her future goals include the growth and care of her diving school, Kona Freedivers, where she is a freediving instructor and which she co-owns and manages with Byron Kay, as well as continuing to represent the United States in competition. Very nice article. Wishing Mandy great good luck and safe diving in her pursuits!